Arden Engineering Constructors relies on Trimble’s TX6 Scanner to capture a building’s MEP details much faster and more accurately than workers measuring by hand. 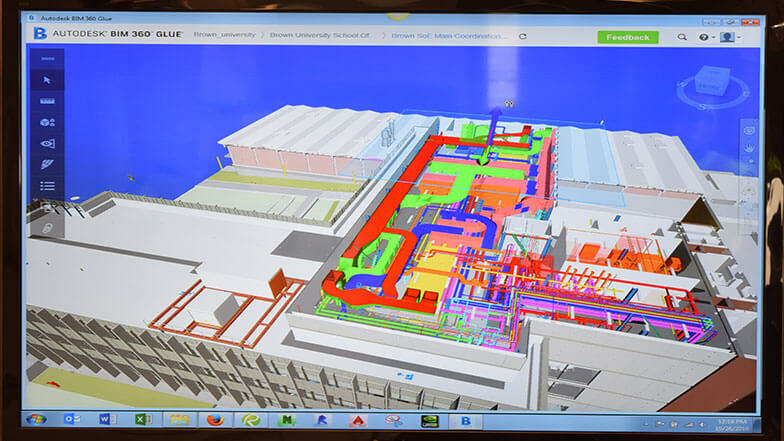 Using RealWorks software in concert with their other BIM programs, they translate the data into digital models that are essential to effective planning and coordination among all the contractors involved. Several years ago, Bill Cameron, building information modeling (BIM) manager for Arden Engineering Constructors recalled, the company began to see a substantial uptick in the number of RFPs for MEP and HVAC systems renovation and retrofit jobs, as opposed to new construction projects. As a first step, such work typically requires an accurate picture of preconstruction conditions. 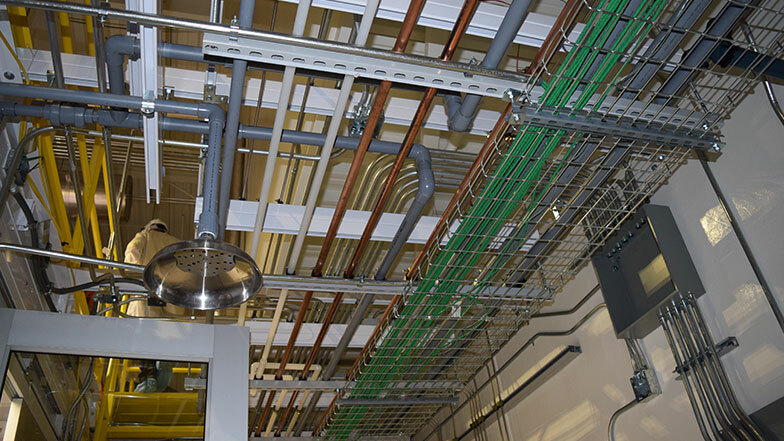 For every pipe and duct in a HVAC system, for example, there are numerous hangers, sleeves, and other components precisely positioned within the structure to support it. An as-built model gathers precise measurements for all relevant MEP elements of the building, so contractors can determine current conditions and assess the impact of the redesigned system. The conventional method for generating as-builts for MEP systems is to measure and record all components across the building site by hand. To modernize this process, Arden Engineering Constructors sought out 3D scanners and point cloud modeling alternatives. accuracy of gathering as-built preconstruction data. chiller plant to service the existing nine-building campus, which featured 644,771 square feet of laboratory, office, and retail space across nearly eight acres. It also included all remodeled and installed duct work for the existing area and the addition to support the next phase of the project. Phase 2 involved integrating the chill water plant, new chillers, and new chilling towers. seven minutes, and all the scans were completed over a four-hour period. During each, the scanner collected millions of data points, also called a point cloud. After the scan, the data were exported into Trimble RealWorks software to register, analyze, model, and create 3D deliverables. RealWorks essentially segments the cloud data into bite-sized pieces, which is easier for CAD modeling software to digest. project design impacts on the existing structure. Once the laser scan of point cloud data was converted, the team used SysQue to inject greater intelligence into the 3D BIM model. With SysQue, Arden Engineering Constructors was able to include real-world content in the design, including detailing, fabrication, manufacturing, and installation specifications. The model was viewed in Revit, then exported to Autodesk’s Navisworks software, which created a snapshot of the project including models, the scene’s environment, viewpoints and redlines, and measurements for coordination among trades. Cameron believes Trimble scanning technology along with the ability to convert point clouds into modeled 3D components help set Arden Engineering Constructors apart as a leading HVAC and MEP services contractor. The team can tackle complex projects for customers and offer comprehensive and innovative solutions that save time and money and meet the industry’s highest quality standards. 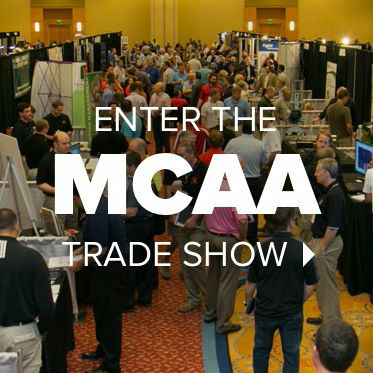 For more information, visit mep.trimble.com.